provides application-driven, cost-effective process chromatography media, columns and associated purification technologies. Our products and services are designed for use in biopharmaceutical and life science-related industries. The core features of our process chromatography media, columns and services are: high selectivity, high binding capacity, high throughput, high flexibility, disposable, ready-to-use, single or multi use, and low cost. Please Click Here for the list of publications featuring BioToolomics' products. Biotoolomics offers a broad range of process chromatography media, which is manufactured in our clean and purpose built facility. The pore structure and particle size of each adsorbent is tailored to best suit its targeted purification applications. We have the capacity to produce thousands of litres of adsorbents p.a. For those cGMP purification applications, we provide full regulatory support files. 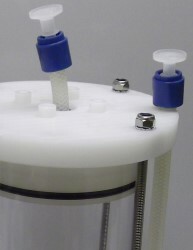 Would you like to have your own reproducible and scalable columns at low cost? BioToolomics offers a full range of disposable columns (e.g. 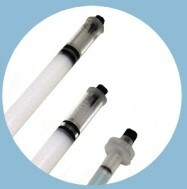 1ml to 10 litres) that are robust and cost-effective. We offer both empty columns and column packing services. BioToolomics has extensive experience in handling a large variety of chromatography media and packing processes, to read more about our column packing services click here. To read more about our empty columns click here. 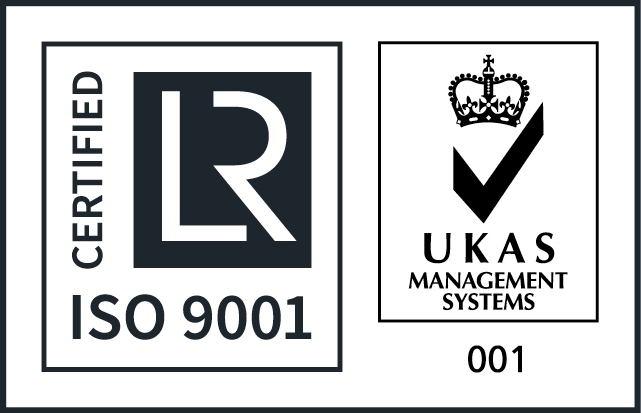 BioToolomics is an ISO 9001:2015 certified company.